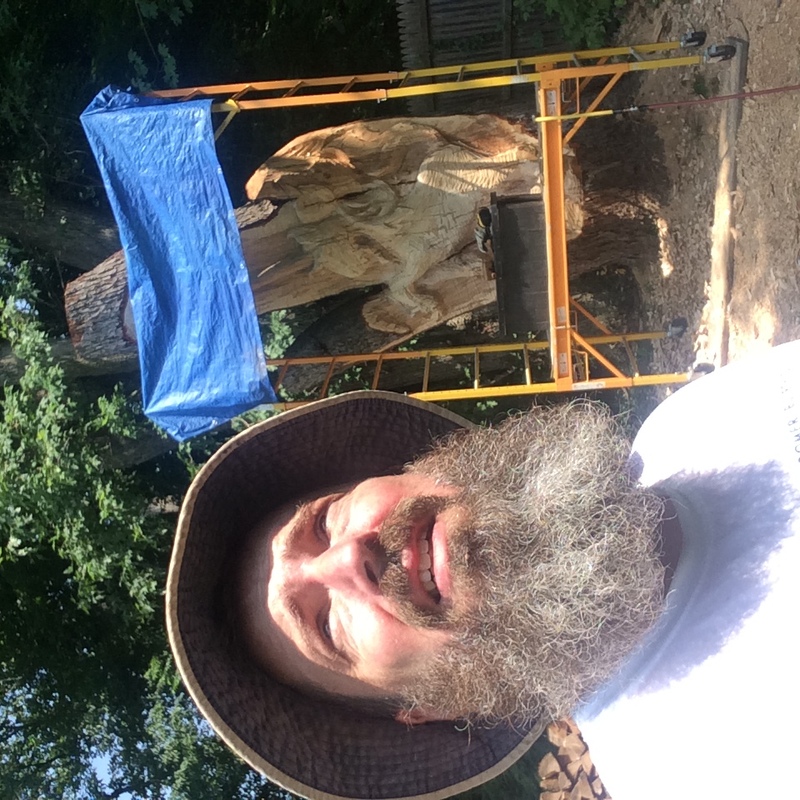 In August of 2017 sightings of a mythical creature were reported in Lower Merion. 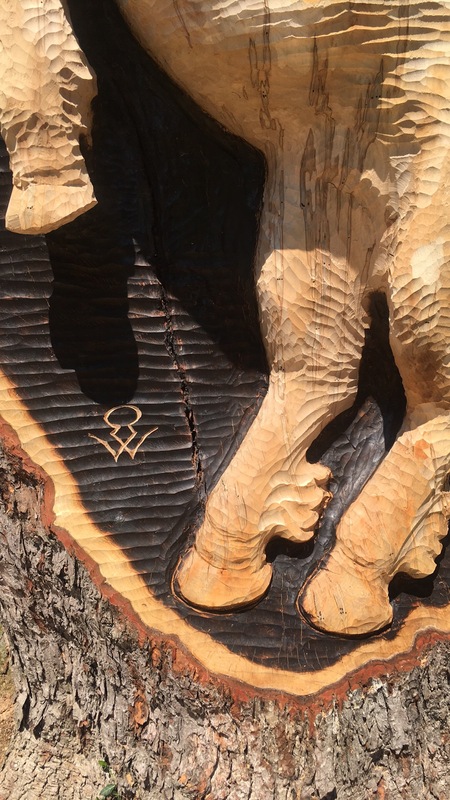 It turns out that the home owner who commissioned the giraffes so was delighted with the first carving that he requested another. A silver maple at the back of the property had lost several big limbs and was crowding another, healthier silver maple. 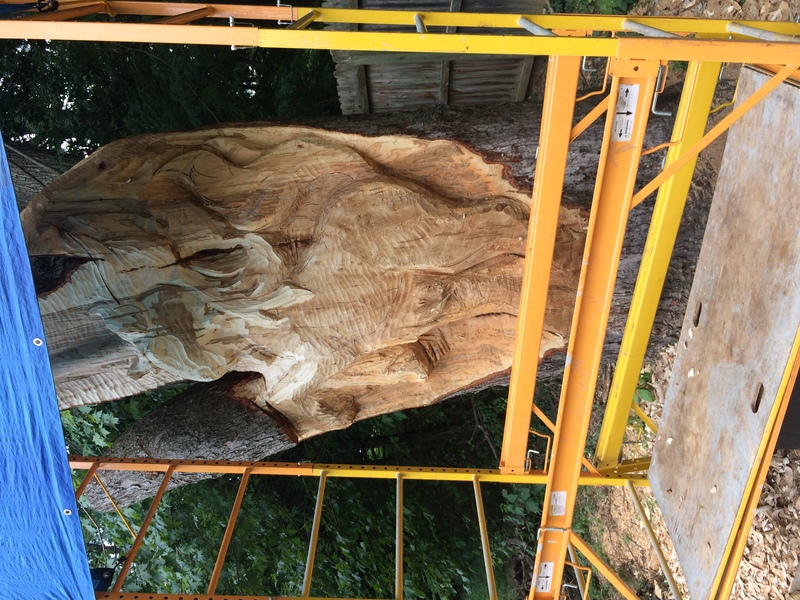 The huge trunk became Wing's next 'canvas'. The July sun was blisteringly hot. 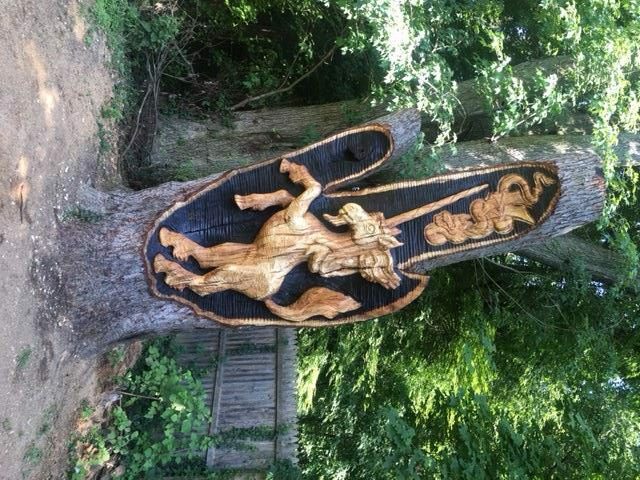 Carving progressed quickly despite the massive scale. 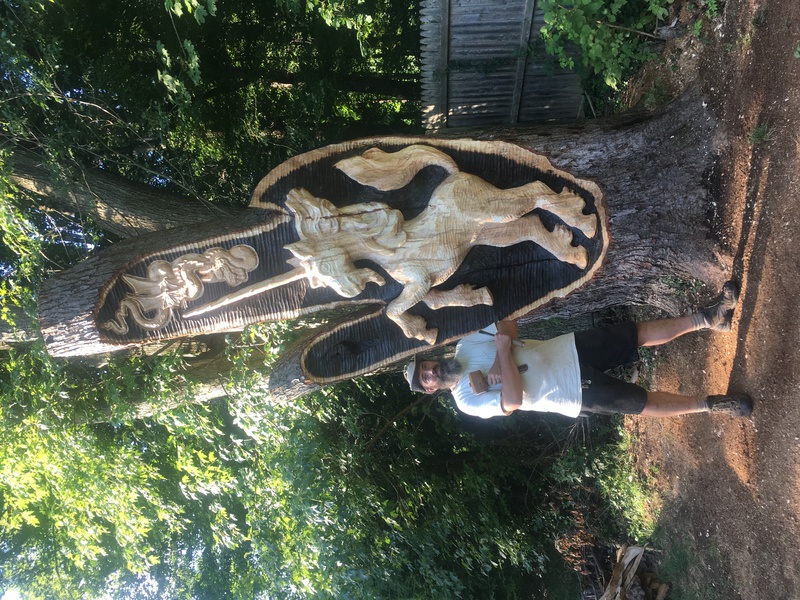 The carving really came together when the torch was applied to the background and whole piece was treated with a coat of oil. the long vertical streaks are caused by a boring beetle giving this type of highly prized wood the name Ambrosia Maple. 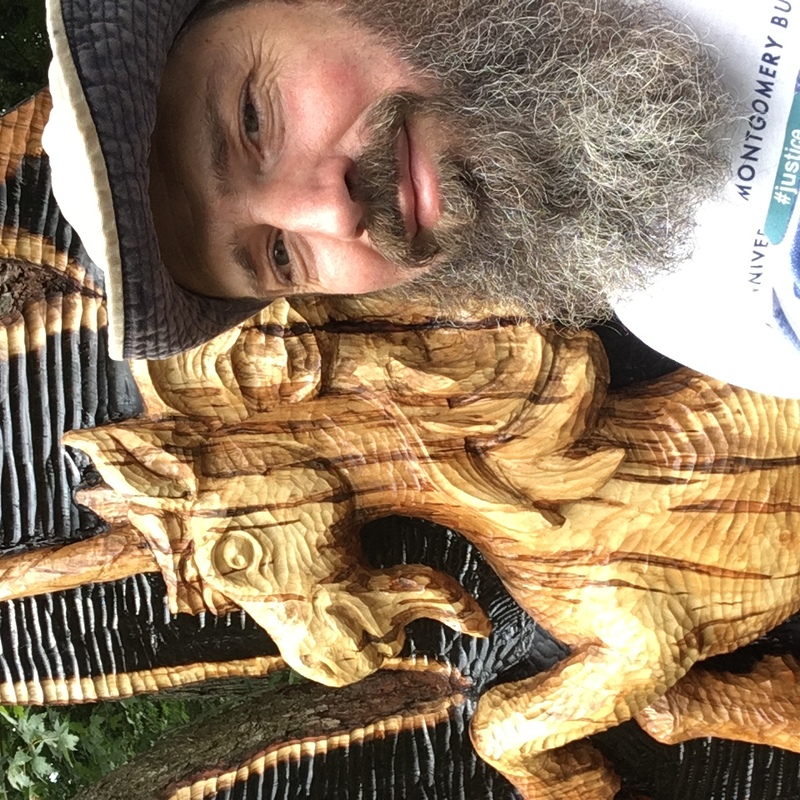 This entry was posted in Tree Carving, Uncategorized and tagged chainsaw carving, commission, ice sculpture, Lower Merion, Penn Valley, tree carving, unicorn, wood carving. Bookmark the permalink.